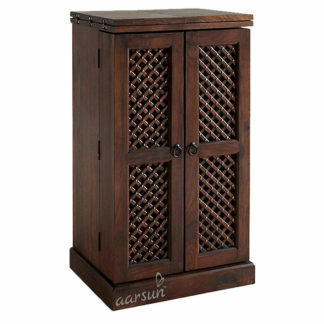 Aarsun Woods brings to you handmade Wooden Bar Cabinet / Unit / Console in premium quality Teak Wood.The Bar Unit consists of 2 single door cabinets with a single shelf inside, Two Small Only Frame Cabinet in front (Glass not in deal) with wine bottle racks and a single large pull out drawer in front for other essentials. The whole Bar Console is supported by stylish legs which firmly holds the unit. 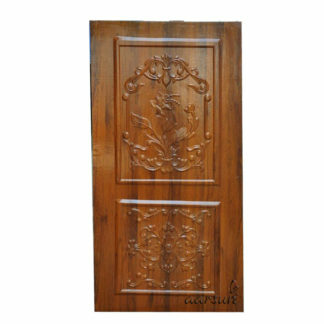 The unit is polished in natural teak polish. 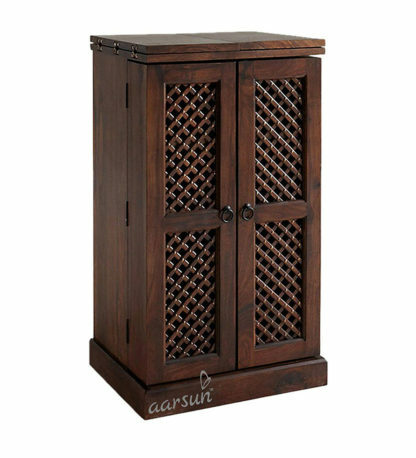 The bar cabinet can be polished in other shades as per your need. 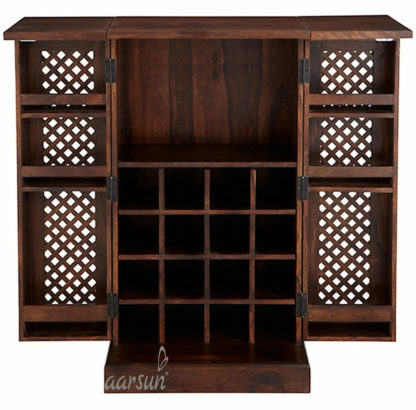 As we are the manufactures, the bar console can be customized as per your home needs.